Do you have trouble keeping your leg underneath you? Do you get pitched forward or back if your horse makes a sudden stop or start? Do you have difficulty rising the trot? Do you brace your lower leg forward against the stirrup or fender in order to get your heels down? 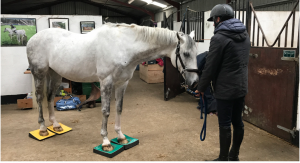 Does your horse have a hollow or sore back? 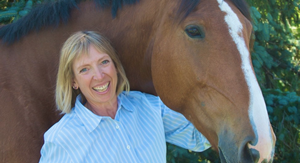 Do you feel like you are trying as hard as you can and you are still having trouble sitting well on your horse? 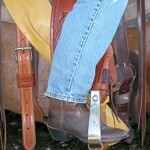 In some cases these problems are caused by a saddle with a poorly placed fender or stirrup leather. 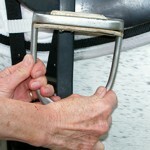 In other cases the problem is caused by a habit of jamming your foot against the stirrup. 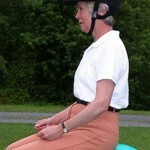 Many riders have difficulty getting their horse to go forward. They try pumping with their seat; kicking, squeezing, spurs, whips and any other means at their disposal but the horse still won’t go. While it is true that you may need some of these aids on a lazy horse the answer may not be what you are doing but how you re doing it. If you want the horse to go forward you need to take the handbrake off your legs and seat. Have you ever felt like your stirrups weren’t even? Did you try stepping harder into one stirrup but that just didn’t solve the problem? Did you stand in front of your horse or ask someone else to look and see if your stirrups were even? 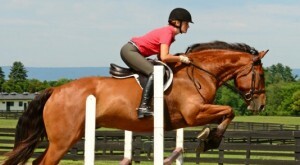 Well here are a few quick tips to determine your stirrup length without guessing. Well this one is kinda of amusing. The voice sounds like the female British accent voice used for other videos. I guess it must be computer generated. The review is short and to the point.